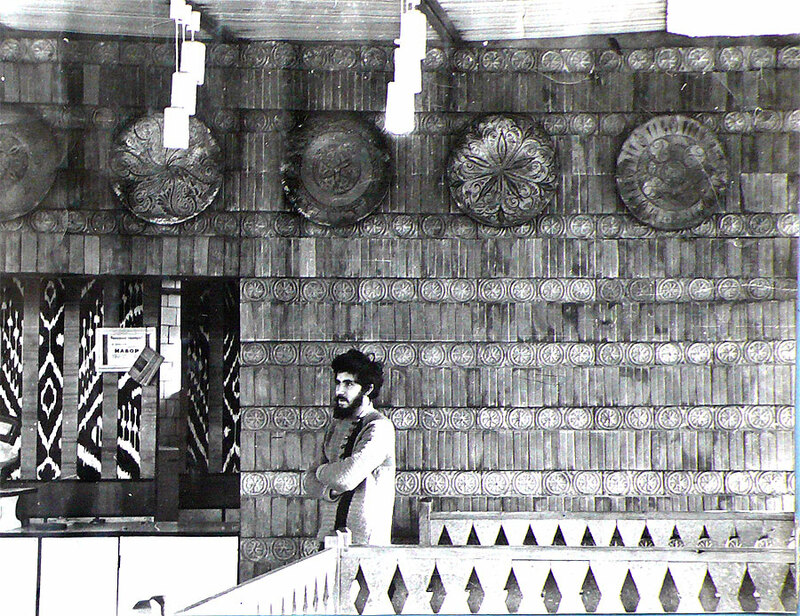 The year is 1968, the works were sold to a local tea house “Choihana” in Tashkent, Uzbekistan in the “Victory” Park. 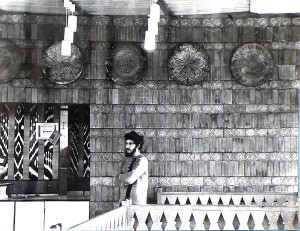 Six large plates were ordered and placed in central room of the tea house, on the wall, that is itself covered with ceramic tiles. This was the first series of ceramic ornamental plates, with some influences of traditional art of Uzbekistan, that I have made. They were made in my studio. Later on, larger works were made at the studio at home, but some were fired at a ceramics factory. This work also represents one of the first times that I have collaborated with an architect (Leonid Comissar).